All about the Special Package for Mountaineers. 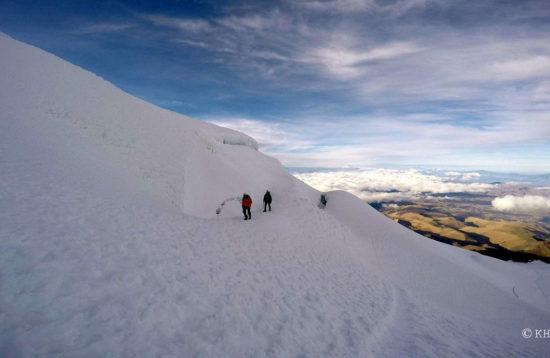 Our two-week program offers a unique combination of cultural encounters, acclimatization and three coveted mountaineering ambitions: Cayambe, Cotopaxi and Chimborazo. We will have a chance to visit Quito’s colonial old town and the second most colorful indigenous markets of South America. Before each climb, our accommodation will be in a mountain hut. Afterwards we will stay in country houses, which have been converted into hotels that are full of history. Our week-long acclimatization period begins with ascends of Pasochoa and Guagua (Baby) Pichincha, after which we will head on to Cayambe. There, we will have time to revise our snow and ice climbing techniques, glacier travel and crevasse rescue before attempting to climb the third highest mountain in Ecuador. 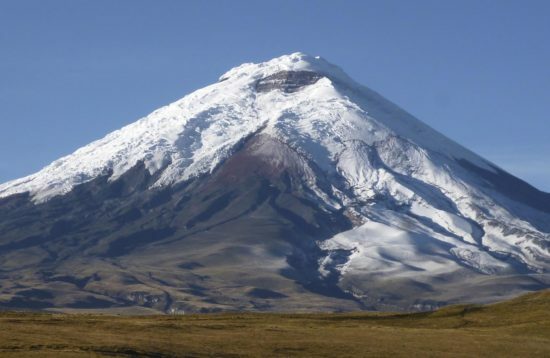 The itinerary includes ample rest and recuperation days after the Cayambe and Cotopaxi summits, which improve our chances of success on the big climbs, especially at the end of our expedition, our main objective – Chimborazo. Careful scheduling and pain-staking planning right down to the last detail have earned this tour high regards as the Best Expedition in Ecuador. Accommodation in Quito, Tambopaxi, Cuello de Luna at the Cotopaxi and Baños in double rooms, breakfast included. Accommodation in refuges in Pichincha, Cayambe, Cotopaxi and Chimborazo. Private transportation on the entire expedition. Guides and assistant guides (multilingual, professionals). Permits and Entrance fees to the National Parks on the tour. Group mountain equipment (boots, crampons, ice ax, harness). Accommodation in hotels outside itinerary. Extra charge for single accommodation. Lunch and dinner in Quito, Otavalo, Tambopaxi and Baños. Personal expenses as for laundry, phone calls, room service. Arrival in Quito. Transfer to our hotel to rest after the flight, whilst our bodies start to get used to the altitude of the Ecuadorian capital (2.800 m/9.000 ft). City tour. 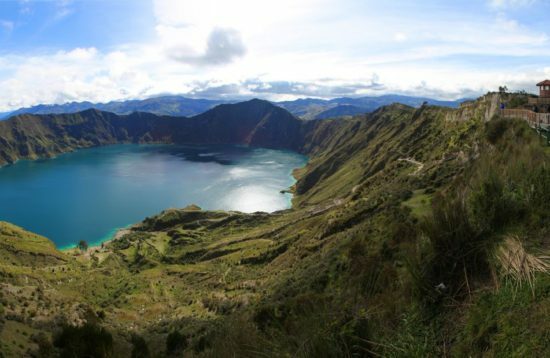 We will visit beautiful colonial churches, explore the interesting sites of old Quito, see the equator monument, as well as the Pululahua volcano. Equipment check and relax in the afternoon. We will continue our acclimatization process with an ascend of Pasochoa (4.200/13.776 ft), this old volcano provides a great opportunity to see condors flying, observe the native polylepis forest and admire the impressive north face of Cotopaxi. Return to our hotel in Quito. We acclimatize further by ascending Guagua Pichincha (4.794 m/15.728 ft). Great views down into the active crater await us while following the summit ridge. Overnight in a mountain hut (4.500 m) on the hillside of the Pichincha. 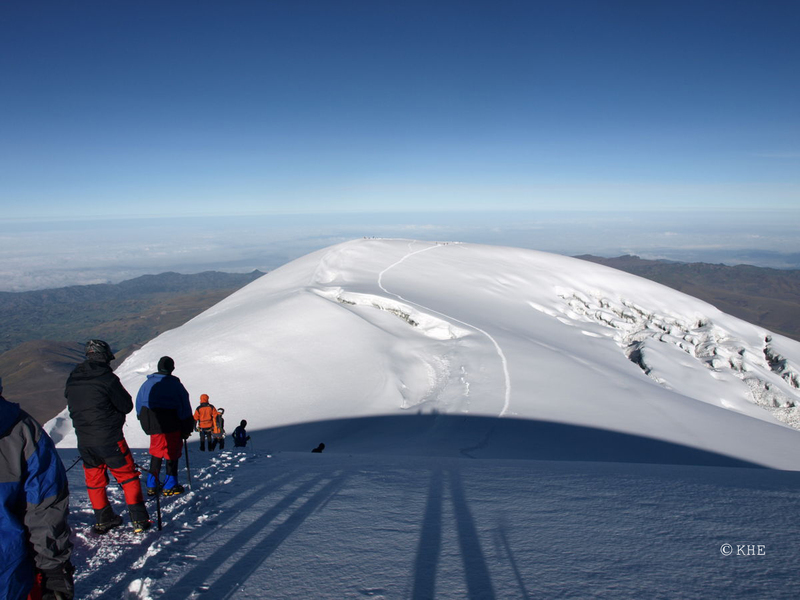 Today, we travel to the climber’s hut on Cayambe (4.650m/15.250 ft). Hike up to the beginning of the glacier (4.900 m/16.075 ft) in the afternoon, after which we return and spend the night in the hut. Skill development on the glaciers of Cayambe. We will spend the day practicing snow and ice climbing techniques, roped glacier travel and crevasse rescue. Return to the hut in the afternoon to prepare the climb. Staring before midnight, we will climb the crevassed glacier and after 6-8 hours we arrive to the summit of Cayambe (5.789 m/18.993 ft). From the summit of the third highest Ecuadorian mountain we will be rewarded with incredible views of Antisana (5.750 m) and Cotopaxi (5.897m). Hereafter we descend to the mountain hut where we will spend the night. Side trip to Otavalo town to visit its colorful and famous Indian market, where you will have lots of opportunities to get souvenirs to take home. Continued journey to the Cotopaxi National Park. This day mainly is to do sightseeing, to rest and relax. Overnight in the Tambopaxi hotel (3.750 m/12.300ft), a very comfortable lodge at the foot of the old volcano Rumiñahui. This scenery is spectacular. After breakfast, we drive up to the parking lot (4.600 m/15.100 ft) and then walk to the Cotopaxi hut Padre Rivas (4.800 m/15.750 ft), where we rest and prepare our midnight departure for the summit of one of the most beautiful mountains in the world. We start the climb at around 1 a.m. from the refuge and hike to the top of the triangular red screen slope to reach the glacier. From here we ascend moderate snow slopes, zigzagging between obvious crevasses to reach the steep final section below the crater rim. After surmounting this section, we arrive to the top from where we can enjoy magnificent views of the active crater, its steam vents and the surrounding mountains. After descending to the hut (about 3 hours), we will pack our things and travel to Cuello de Luna Hotel (about 1 hour). Overnight. Half of the day will be to rest and to visit a traditional market. In the afternoon we continue to Riobamba and to the Whimper hut (5.000 m), which is situated in the heart of the Chimborazo. Overnight in the hut. We will stay in the surroundings of the Whimper hut to prepare the climb. Overnight at the refuge. We leave the hut at midnight and climb up the screen slope to get to the glacier. We have to overcome a few steep sections along the icy ridge to arrive to the Veintimilla summit and then traversing across a snow basin get to the farthest point from the center of earth. The ascent to the Whimper summit takes 8 to 10 hours and 4 hours on average time to descend back to the refuge. Drive back to Baños (about 2 hours). Overnight in the Hotel Sangay, at an altitude of about 1.850 m.
Short visits of this nice region (waterfalls, mountain cloud forest, orchids, hummingbirds, etc.). In the afternoon return to Quito. 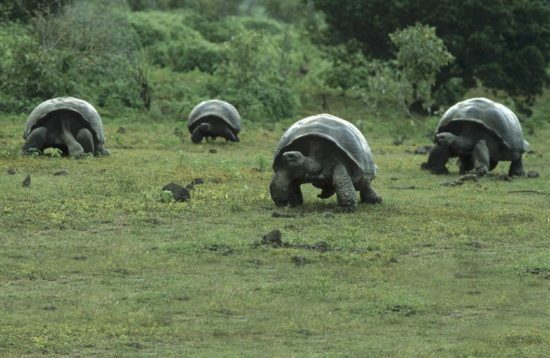 Depart Quito for home or extension to the Galapagos Islands or the Amazon rainforest.